Yin Yoga is a powerful style of yoga that works towards physically unraveling the body’s matrix of tension, activating the parasympathetic nervous system, mentally transitions the mind into a meditative state, emotionally relaxes the body-mind complex and energetically stimulates the flow of qi. Yin yoga holds the key to unlocking the full potential of a holistic and comprehensive yoga practice, both on and off the mat. If you are stuck in your teaching, want to refresh your approach to yoga, ignite your body-mind consciousness or enhance your self- practice or teaching with a complementing style of yoga then this course is for you. Yin Yoga is the epitome of self care and self love. When one can sit with the mind to take care of oneself then the seed of health and wellness is planted, inside and out. Yin Yoga provides and allows this space to transition from a human doing back to a authentic human being. You will come away with an abundance of confidence to guide your own practice focusing on physical and energetic target areas as well as being prepared to share this practice to others. You will explore how Yin Yoga and its application of gentle, sustained and monitored tension and compression to the body can effect the functionality of the entire system, physically and emotionally.The practice comprises longer and more static holds than Hatha Yoga. With the use of floor based yoga asana, for muscle relaxation and myofascial release, you will bridge the gap between body and mind, seamlessly, allowing for a meditative and therapeutic experience. Yin Yoga focuses on strengthening the inter-connectivity of the physical, mental, emotional and energetic dimensions of the body that everyday life can filter down to a level that is consciously or unconsciously unhealthy. This course offers you the time to slow down and work on bringing yourself back into the parasympathetic nervous response, rest and digest. This is where rejuvenation, relaxation and restoration reside. You will dive deeper into the connection of yoga asana, on and off the mat, meditation and mindfulness, within the physical and energetic body. You will refresh your knowledge on anatomy, functional approach to yoga, fascia through multiple experiential workshops and theory sessions.You will be introduced to Chinese Medicine, the 5 elements and develop an art of teaching to share yin yoga in a creative and efficient way. The art of teaching will prepare you to understand the responsibilities of being a Yin Yoga teacher, looking at key aspects within teaching methodology. Being an experiential, positive and inspirational learning environment, you will embody the physical, energetic, mental and emotional realms within the yin yoga practice from two points of view: the practitioner and the teacher. This part of the training visits the understanding of unique bio-individuality of human beings and translating this into, not only yin yoga, but our day-to-day practices. You will be introduced to functional anatomy, the fascial system, tension and compression, muscle groups and target areas, asana (posture) breakdowns, art of teaching and the art of propping. Art of propping is taught in a unique way but can be adapted to all other styles of yoga asana. In this part of the training you will break down the essence of the energetic body and how we can teach yin yoga form this approach. Breaking down Chinese Medicine theory, Yin Yang Theory and the 5 Chinese Elements you will gain new insight as to how we can benefit from yoga, how qi flows around the body, emotions that are relevant to the elements and how we can translate this into the 5 bodies approach for a holistic practice of teaching and moving meditation / asana. Furthermore, you will layer onto the depth of your philosophical education by looking at the Yin Yoga from its original roots; the taoist point of view. This course will take you through the fascia, function and energy of yoga so that you can expand your expertise and experience in practice and teaching. By professionally learning about Yin yoga you will have a wealth and abundance of knowledge which will allow to you intelligently offer an experience of yin yoga to your students and yourself! Through an intelligently sequenced class and atmosphere created by you, you will have the knowledge of how to specifically use physical and energetic target areas that benefit a multitude of issues such as pain, immobility, stress, relaxation and insomnia to name a few, Yin Yoga is preventative and curative if taught and practiced in the right way. 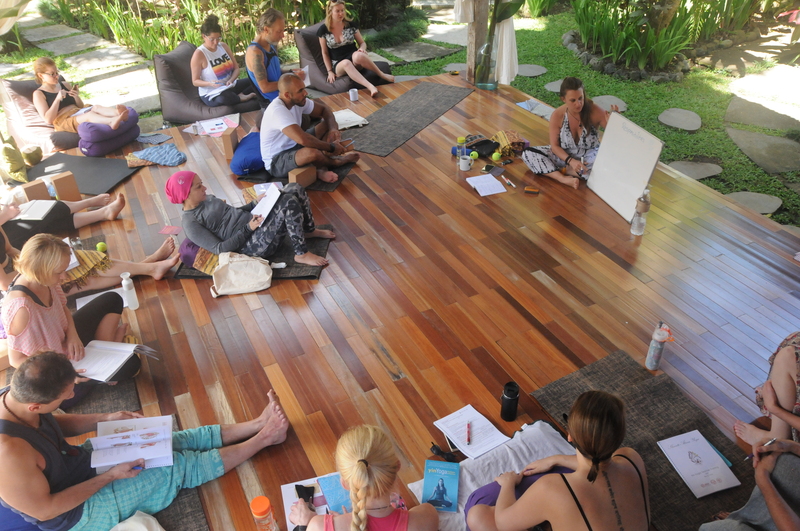 By being mentored you will gain insight into how to start running successful yoga retreats and workshops, cutting out up to 5 years of working it out yourself, by yourself. Upon completion you will become an exclusive member of Shanti Atma Yoga Alumni and have access to an online portal with post course follow up video training support. You will be eligible for the Platinum or Diamond coaching program to make your yoga events thrive, with support and step by step guidance.